The Town has contracted with a certified landscape firm to aid in weed mitigation. Beginning Wednesday, April 3, an herbicide treatment will be applied to the following areas: both sides of Main Street, from McConnell Drive west to 4th Avenue; the rock beds (from sidewalk to curb) along McConnell Drive and 2nd Avenue, from approximately 2nd Avenue to the middle/senior high school; the rock beds in Sandstone Park, adjacent to Railroad Avenue; and Stone Canyon trails. The work will begin on Wednesday, April 3, and is anticipated to be complete by Friday, April 5. 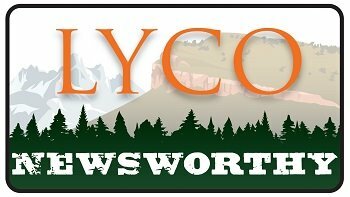 The Town of Lyons' weed management plan is an integrative approach, consisting of mowing, hand-pulling, herbicide application, cultural control, and public outreach and education. The objective is to minimize the occurrence of weeds and the associated negative impacts on native plant communities, public lands, and public corridors within Lyons. Read more on the Town's weed mitigation strategies and practices. Thanks and a Shout Out! A strike team of Myrtle Spurge volunteer warriors came together on Saturday, March 23, to launch a 'purge the spurge' event in Lyons. There was a total of 33 volunteers, who contributed 288 hours of time. Volunteers worked all day and covered about 16 acres. All together, more than 60 contractor bags were filled with Myrtle Spurge (and a few toadflax that were caught in the crossfire of enthusiasm), filling 3 dumpsters! Photos of the event can be viewed here. Thanks to the many hard-working volunteers who came out for Weed Warriors Myrtle Spurge 1! safeTALK is a suicide alertness training that teaches you to recognize persons with thoughts of suicide and to connect them to suicide intervention resources. Open to anyone 15 years old and older. Anyone under 18 needs to have signed permission from a guardian or parent. Calling all artists! 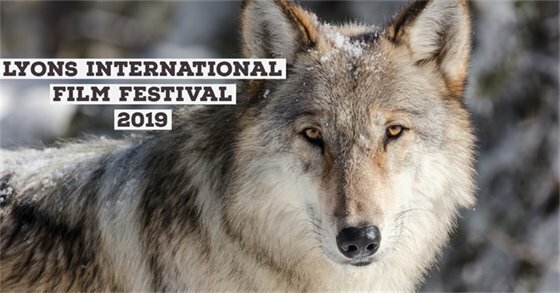 Be a part of the 2019 quarterly Lyons' Town Hall Art Shows! Art of all mediums, by artists of all ages, abilities, and artistic interpretation are invited to be hung in the Shirley F. Johnson Council Chambers for a quarter. Bring your artwork, in accordance with the quarter theme, to Lyons Town Hall on the Friday, April 5. Then, all are invited to the new show's opening reception on Saturday, April 6. Play with innuendos, interpretations, double meanings, and plays on words! Art of all mediums, by artists of all ages, abilities, and artistic interpretation are invited to share what "Rock, Ram, Run" means to you! 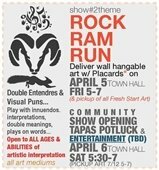 Deliver "Rock, Ram, Run" hangable creations on Friday, April 5, between 5 and 7 p.m. at Lyons Town Hall. Reservations are not required. Opening Reception: Saturday, April 6, 5:30 to 7 p.m. Community show opening, tapas potluck, and live music!